This glass art which provides an explosion of colors and exquisite designs on glass is an ancient one. It is said to have existed even 4000 years ago in the Middle East. How ever, it gained popularity when the Venetian glass blowers reinvented it in the 16th century. 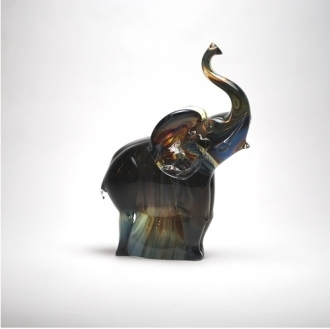 The murrine is a name given to the cross section of glass rods containing mutlicolored designs that give them a magnificent look. There are three ways you can make these rods with designs in them. All of them are time consuming and laborious processes. But the beauty of the finished products makes it worth the while. 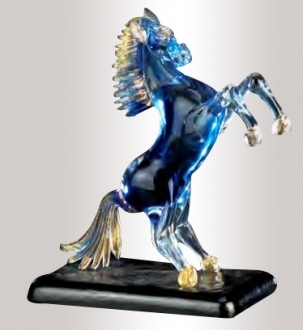 Using a pliable mold, the artist makes an image which he plans to put in the glass rod. This is the positive. Then this positive is covered with a heat resistant material to produce a mold. This mold is then filled with the molten glass of the required color. Thereafter it is heated in a furnace. The glass positive is then taken out and when it is still half molten, the positive is rolled in molten clear glass to fill all the gaps and form a rod. This rod is then stretched to the required thinness and sliced crosswise to make identical cross sections. These murrine can be used to make other glass articles like vases and vessels. This is a particularly long process. But it comes in handy when you want to have murrine with letters or emblems. 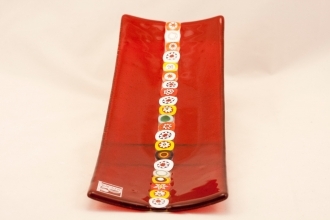 This is used by layering clear glass and colored glass, both in molten states. The clear glass is taken on a working surface and the letter or image is painted into it using the colored glass. This is repeated till the whole structure is about ¼ of an inch or a little more thick. Then it is sealed with molten clear glass again. This design encased in clear glass is then pulled and cut. In this method the already made murrine pieces are rolled on or bundled on a molten core piece and then blown into different articles. This technique is the most commonly used one. The bundling is also done in a different way. In this technique, the cross sections are arranged on a porcelain surface. Then the porcelain is heated for the cross sections to fuse with each other. 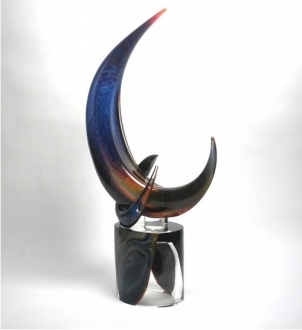 This piece is then folded and blown to create various glass articles. Whatever the technique the artists use, they need to have a clear picture of the article they want to produce and they should be able to plan to realize it. It calls for a higher level of artistic sensibility. 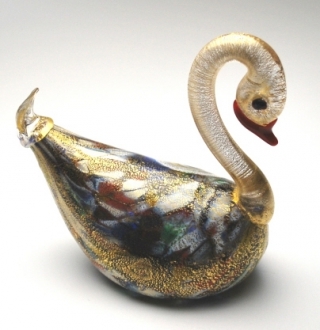 The Murano artists certainly do not lack the needed expertise. 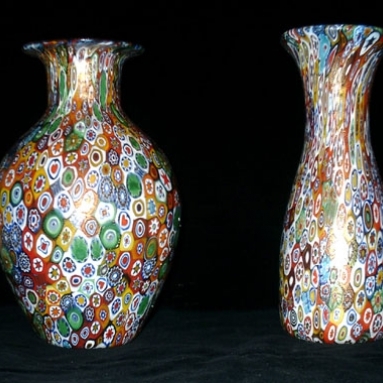 As a result, artists like David Patchen and Loren Stump were able to use this murrine to produce specialised art pieces like portraits and exquisite vases. The technique is used greatly in producing the millifiori articles. The word ‘Millifiori’ means ‘million flowers’. 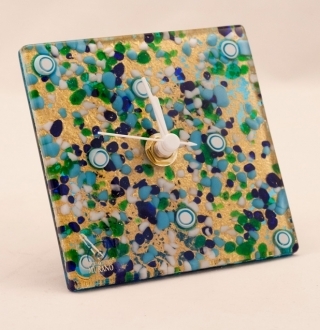 As the name becomes meaningful when an art piece is covered with innumerable Murrine in all sizes, colors and shapes.